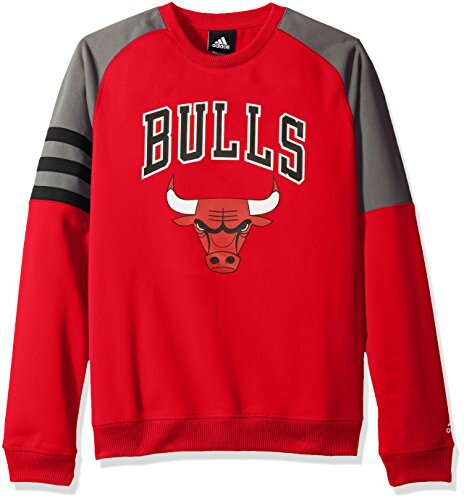 Keep the young fan in your life warm while they cheer for their favorite team on gameday with this pullover sweatshirt from Adidas. It features team colors, embroidered team graphics on the chest, and ribbed collar, hem & cuffs. 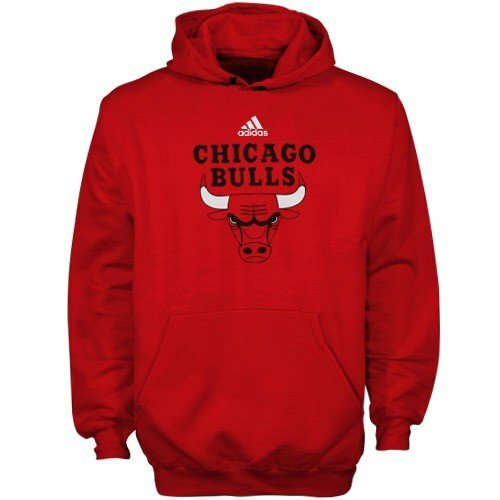 Officially Licensed by the NBA and is made of 80% cotton/20% polyester for warmth. Size scale is as follows: Small = 8, Medium = 10-12, Large = 14-16, X-Large = 18-20. 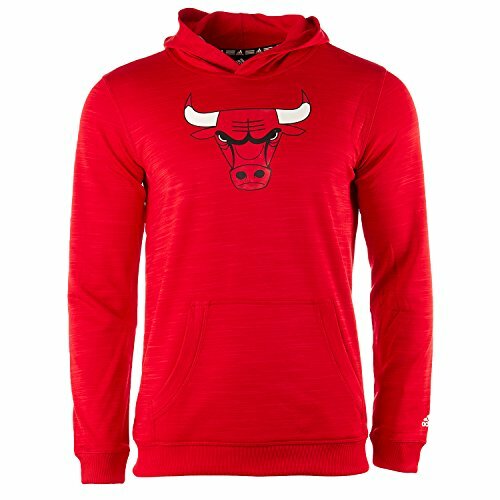 Young NBA fans will love showing off their favorite team in a comfy primary logo youth hoodie from adidas®. 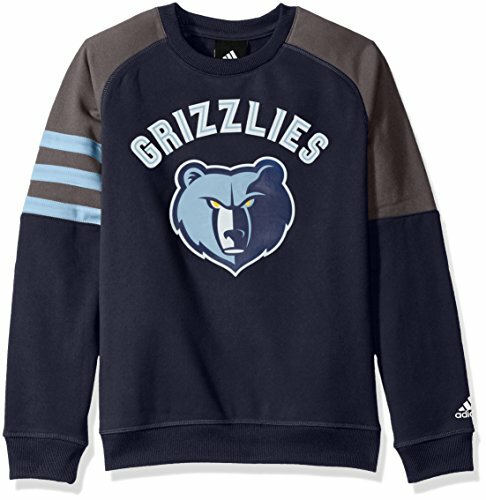 It features team colors, the NBA team logo across the chest, and the adidas® logo at the collar. Its classic design, with ribbed detail and a front pouch pocket, never goes out of style. 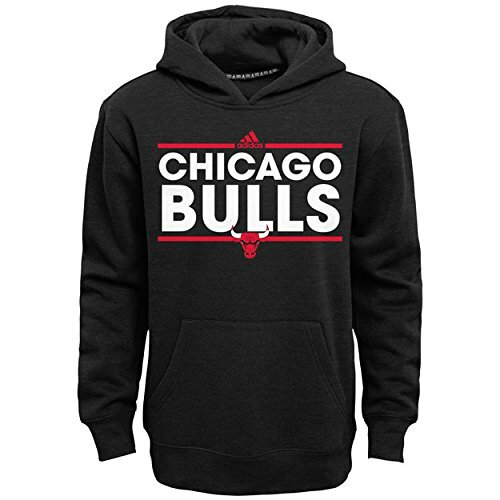 Represent your team in this awesome and bold looking with the Youth Power Play Hooded Sweater. he contrasting colored inside hood gives this hoodie that extra pop of color needed to get you noticed. Made of polyester material to help protect your little fan from the elements. Rib knit cuffs and waistband keeps breezes out and warmth in. 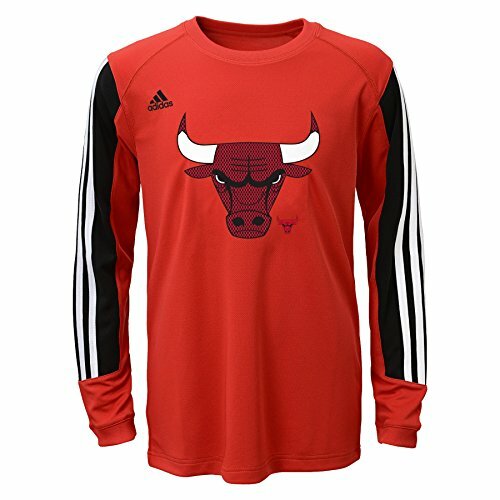 Support your favorite team in this official NBA licensed "Prestige" L/S Performance Tee. Show your team spirit like a dedicated fan, while being comfortable and sporty at the same time. 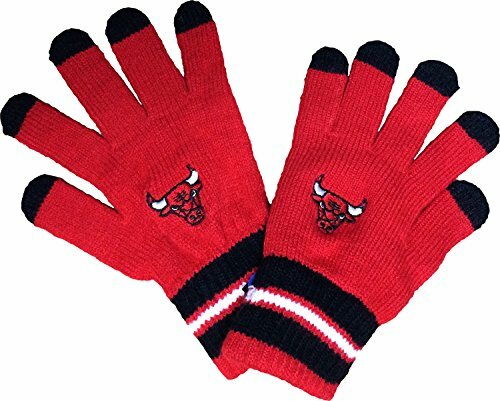 Stay warm and stylish with this Chicago Bulls Youth Winter gloves! 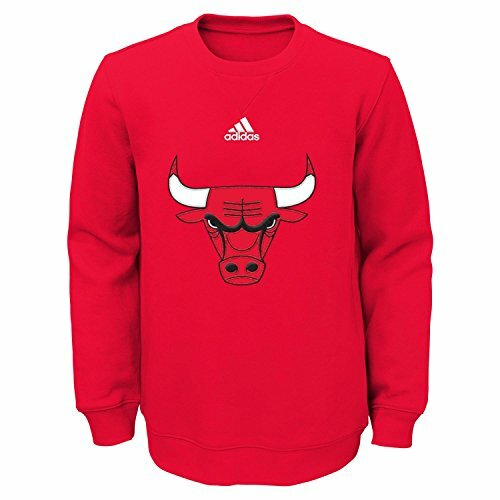 This unique sweatshirt is a great way to keep warm and support your favorite team.